New Hampshire State Police have arrested a man they say was drunk when he crashed into two vehicles at a construction zone early Tuesday morning in Milton. Police say Donald Pierce, 56, of Kingston was traveling southbound on Route 16 when he approached a part of the road that required both directions of travel to use one lane with police direction. Pierce allegedly drove through the cones and struck a vehicle driven by Nicholas Poirier, 19, of Dover. He then continued and struck a vehicle driven by Dominic Albano, 36, of Lowell, Massachusetts. 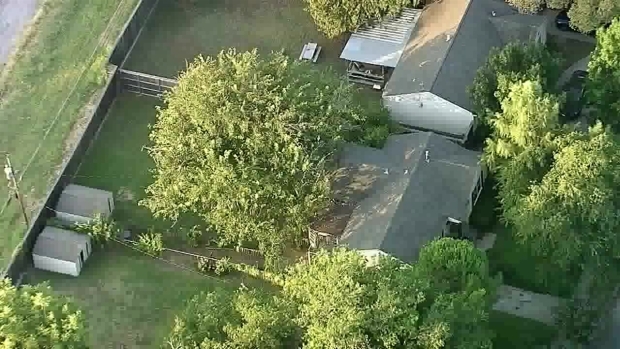 Chopper 5 flies over a ditch where police said a man fled officers and the crashed a vehicle in Dallas Monday morning. Poirier was taken to a hospital with non-life-threatening injuries. No other injuries were reported. Pierce was charged with DWI and was released on $2,500 personal recognizance bail. He was issued a court date on Aug. 23 and was subsequently placed into protective custody.